Free documents that explain the math and logic behind mechanism motion. Free scripts for mechanism design and g-code generation. 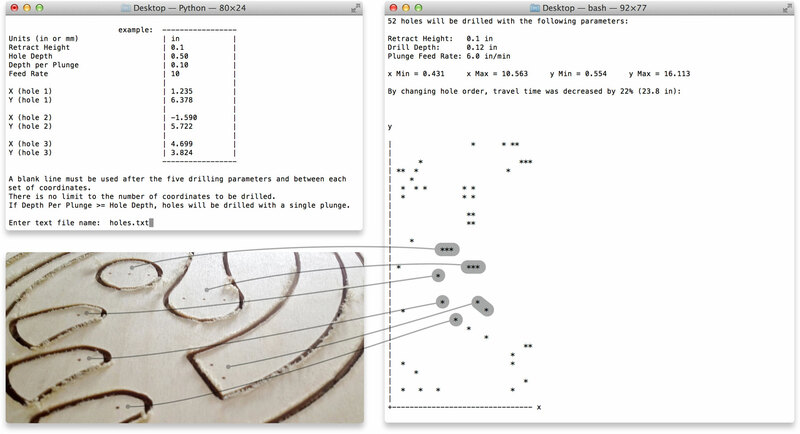 gDrill is a Python script that takes a series of (x,y) coordinates from a text file and converts them into a G-Code tool path that drills a hole at each of the given coordinate locations. dsHypoGen is a Python script that calculates parameters for generating dual stage hypocycloid reducers. Visit python.org and learnpythonthehardway.org for more Python information and to download Python. dsHypoGen does not generate actual geometry. For help creating gear geometry, try Gearotic Motion.